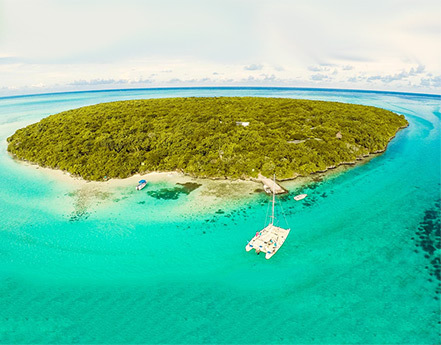 Set on the rugged south-east coast of the island on a secluded peninsula lapped by magnificent Blue Bay Marine Park and facing Île-aux-Aigrettes natural reserve, Shandrani Resort & Spa boasts three immaculate private beaches. This 5-star luxury allows you to relax knowing that your whole stay will be hassle-free! Six types of luxurious and spacious accommodation are on offer: Superior, Superior Beachfront and Deluxe rooms, Family Apartments, Senior and Family suites. Five restaurants invite you to sample mouth- watering gastronomy served with a choice of the best imported wines. Grand Port is the perfect place to taste international recipes and Creole specialities, while Porto Vecchio provides fine Italian and Mediterranean-style fare. Boucanier is a fine dining restaurant, Sirius serves light tropical cuisine and Teak Elephant is a Thai restaurant. 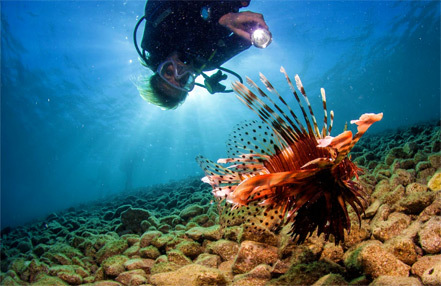 When it comes to sport and leisure, the resort has something for everyone. A range of land and water sports from water-skiing to golf as well as a sailing school and a diving centre will delight the active ones. Other facilities include a spa and a wellness centre, associated with the world-renowned Clarins brand. This modern and comfortable room offers a beautiful view onto the lush gardens. Ideal for a couple, guests will enjoy the intimate bedroom and en-suite bathroom that extends onto the cosy lounge area and terrace. The room is an area of 75m ², located on the garden will or 1st floor with sea view. Particularly suitable for families with young children, Family Apartments offer a children's room has a custom furniture to order. Only a few steps away from the beach, this room offers guests comfortable holiday accommodation in an idyllic location. The bedroom opens onto the lounge area and terrace, where guests will enjoy beautiful sunrises. The Deluxe room is newly renovated, creating a contemporary yet peaceful haven, ideal for couples. The bedroom has a spacious en-suite bathroom and extends onto a modern lounge area and terrace that in turn continues onto a semi-private garden, perfect for relaxing and enjoying the island lifestyle. The hotel’s five restaurants and two bars give a whole new meaning to variety. Overlooking the beach and the hotel’s main pool Le Grand-Port, the hotel’s main restaurant, serves excellent international and local fare. It is the perfect option to sample new recipes sourced around the globe while enjoying the convivial atmosphere which centres around the buffets and live cooking stations. 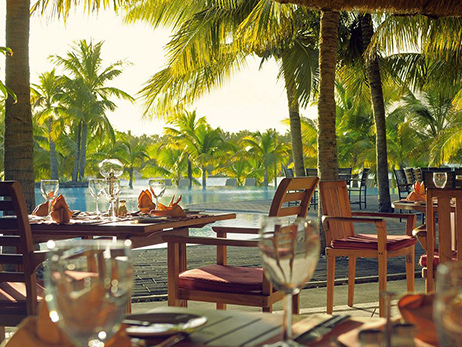 If you fancy light tropical cuisine, opt for Le Sirius restaurant, located at the tip of the peninsula. Specialising in fine Italian and Mediterranean-style cuisine, the Porto Vecchio restaurant is a gem with its casual, yet elegant atmosphere. If you are looking for an upmarket dining experience, head for Le Boucanier, the hotel’s gastronomic restaurant. The restaurant’s wooden deck combines with soft lighting to create a cosy, comfortable, welcoming ambiance. Close to the Sirius restaurant, the Teak Elephant, specialises in Thai cuisine and delights guests with its elegant setting opening up onto Shandrani’s golf course. Shandrani Resort & Spa is a hotel where luxury and freedom go hand in hand, and well-being and plenitude are the focus of all expectations. It is not just one but two Spa areas affiliated to Clarins where guests indulge in relaxation and rejuvenation amidst lush tropical surroundings. "La Source Spa" provides a sophisticated setting drawing on an oriental-inspired lifestyle. It features 11 treatment rooms divided into two wings. Hewn from elegant pieces of wood, Moorish-style doors open onto the saunas and hammams. The relaxing rooms open onto a reflecting pool and massage cabins have their own walled gardens. The second wing exudes a "zen" atmosphere and features treatment rooms designed around a spacious wooden deck. After a treatment, guests are free to relax on the sun deck and help themselves to herbal tea or juice from the bar. The picturesque La Source Wellness' creates a blend of luxury and simplicity with private treatment rooms resembling reed shelters set within a tropical haven. The design catches your attention at once with its generous proportions and stunning setting. The centerpiece is a magnificent pool accentuating the grand dimensions. Its pure symmetrical lines define the area with an effortless sense of style enhanced by the plays of light on the mirror-like water. Accessible by stepping stones in the water, a centuries-old badamier tree makes a perfect focal point while providing the ultimate retreat for relaxation after pampering. Earth shades and thatched roofs built at tree level ensure the 20 single and double massage cabins blend seamlessly with the surroundings. Framed in a green oasis, the private treatment rooms turn each visit into the ultimate experience. Hibiscus and frangipani trees lend beautiful bursts of colour to the garden while the delicate fragrance of jasmine fills the air. 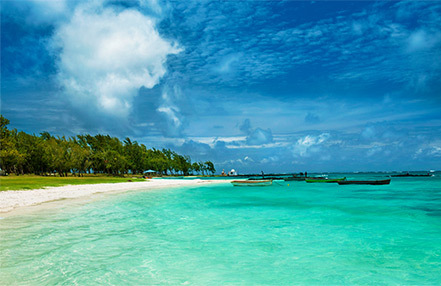 Like all Beachcomber hotels, Shandrani offers a range of land and water sports, most of which are complimentary. Available to kids aged 3 to 12 years, Shandrani's mini-club is housed in a Creole-style house, attractively fenced in the heart of the tropical gardens. Both indoor and outdoor areas were designed and furnished with miniature furniture and special accessories for children's enjoyment and comfort. A traditional swing and a jungle gym guarantee loads of fun in the gardens. The mini-club interiors consist of a large room divided into smaller activity corners dedicated to painting classes, TV watching and book reading. Another smaller room is a rest area equipped with small beds. A baby-sitting service is also available with supplement. Reservations must be made 24 hours in advance at the Reception.